Homespun Stitchworks..... For the love of vintage: The Secret Garden ... Making up my project basket. 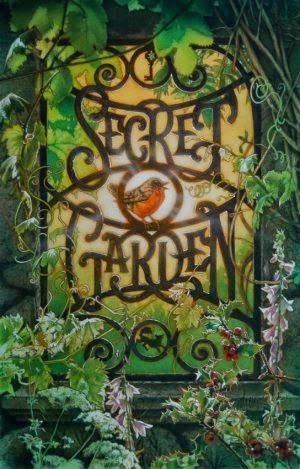 The Secret Garden ... Making up my project basket. It was the lock of the door which had been closed ten years and she put her hand in her pocket, drew out the key and found it fitted the keyhole. She put the key in and turned it. It took two hands to turn it, but it did turn. And then she took a long breath and looked behind her up the long walk to see if anyone was coming. No one was coming. No one ever did it seemed, and she took another long breath, because she could not help it, and she held back the swinging curtain of ivy and pushed back the door that opened slowly – slowly. Then she slipped through it, and shut it behind her, and stood with her back against it, looking about her and breathing quite fast with excitement, and wonder, and delight. I have drawn lightly on this piece of fabric the words that I wish to stitch on and therefore I now know where the garden full of beautiful embroidered flowers will be able to go. Studying tiny flowers and their meanings I will be putting in lavender, hollyhocks, daisy's, roses and some made up pretties. I bought some stunning antique glass beads that are flower heads and some of those will be stitched into this piece of stitched embroidery art. Tiny butterflies, bees and a robin will be hand embroidered somewhere along side the flowers of this picture and of course there will have to be at least one tiny vintage carved mother of pearl button .. Homespun Stitchworks trademark! When the light fails again today I will be going through this basket and adding to the threads and taking away, until I am satisfied that all I need is contained in there. 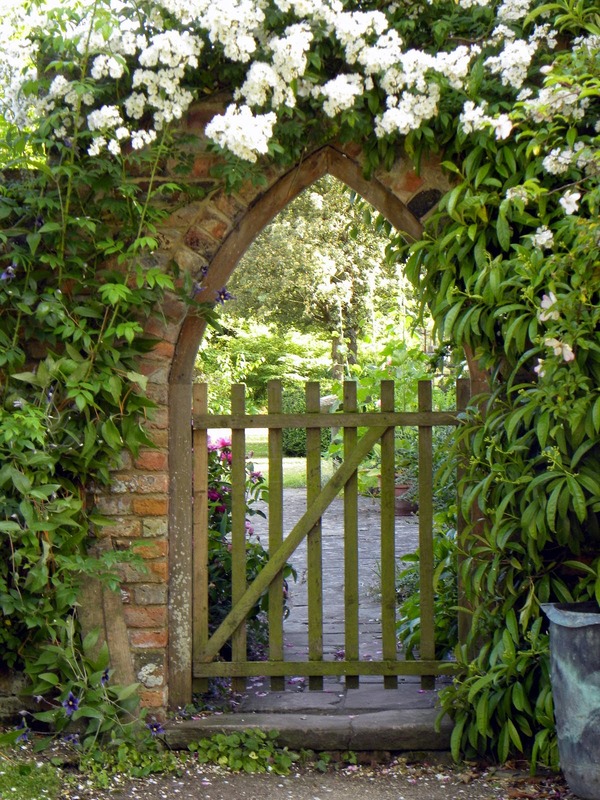 I found this picture of a gate with flowers growing across the top and would like to base my gate on this ( the shape of the opening). Well I am away to my stitching have a great day and have a Happy Stitching Day yourself!